Durable use, can be reused. 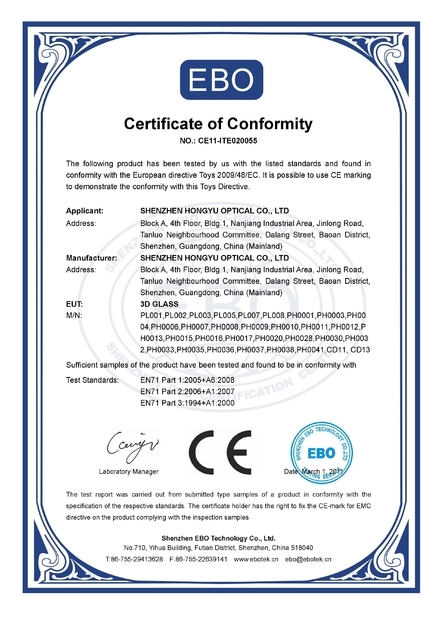 Model PL0011, high quality plastic frame circular polarized 3D glasses. 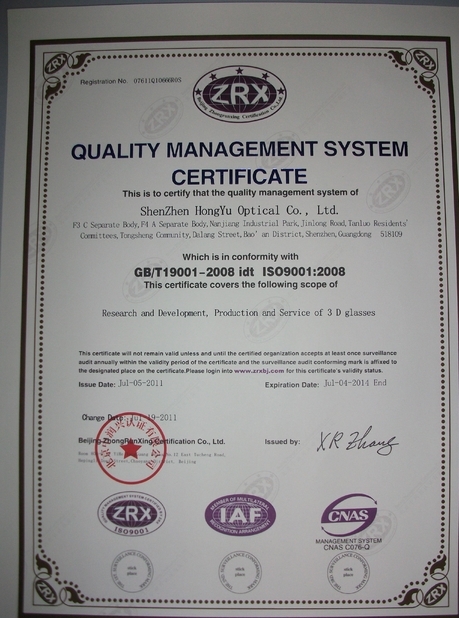 It is used in RealD or MasterImage cinema system or home theater with degree ±45°. Very popular model for LG 3D TV. 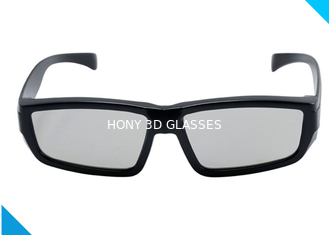 Passive 3D glasses, no flash when watching 3D TV. We Shenzhen Hony Optical Co., Ltd, very professional 3D glasses manufacture, with a group of people who love 3D technology very much. We work very hard everyday, we study hard everyday. We have been trying to help customers to solve their 3D problems.